Books - GREAT INSTRUCTION, GREAT ACHIEVEMENT! "Turning Average Instruction into Great Instruction is a must-read for teachers, principals, and curriculum leaders. O'Connor offers a framework for effective classroom instruction. In a world inundated with a myriad of quick fixes, this insightful book is a refreshing entree for educational practitioners seeking to strategically and collaboratively lay the foundation for continuous school improvement." 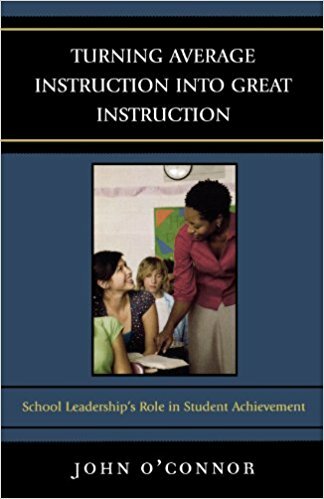 "This book presents a unique and effective means to assist principals, assistant principals, and other building leaders in examining their effectiveness in improving student achievement at the building and district levels... "
"O'Connor has rightfully and persuasively put the emphasis where it should be ― on classroom instruction! His point is well-taken that much valuable time and effort is being misplaced in schools on activities that do not directly impact student achievement. Readers will appreciate his clarity in pointing schools to the components that matter most to ensure that all student are successful. " "Educators have an overwhelming challenge to provide a superior academic experience for their students. This book identifies these challenges and offers practical solutions that will effect above average results. Students, O'Connor has your back!" This is a good book for special educators, and a great book for general educators. "A comprehensive guide to what all students need to be successful in the classroom. 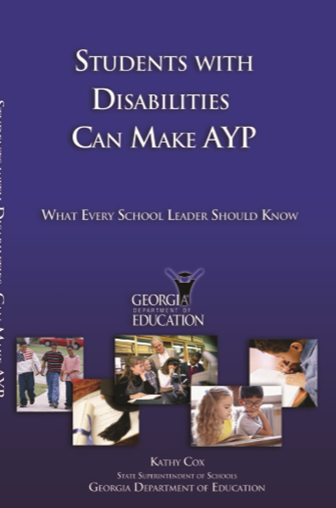 Great Instruction – Great Achievement for Students with Disabilities provides any administrator the necessary information to develop effective programs. " "Great Instruction – Great Achievement for Students with Disabilities is an exceptional guide for implementing highly effective programs for all students. " 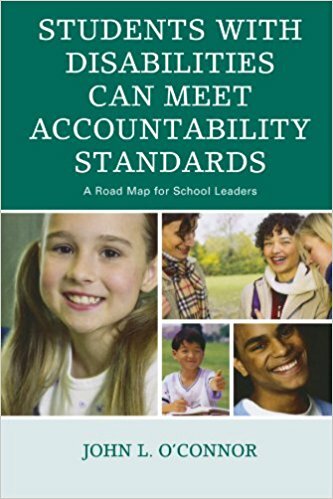 "As an administrator, I know that I will use this book to improve our district’s services, and to raise the bar on academic achievement for our students with disabilities. " "Finally, a book that targets all the evidence-based instructional strategies for students with disabilities in an easy to read format. " "What administrators need are resources that are succinct, readable, defensible, and, most of all, doable. John O’Connor has given us the gift of a brilliant contribution. Using this resource will produce GREAT instruction for ALL students."